Beans and lentils, also known as legumes, are edible plant seeds and nutritional powerhouses. They are a nutritionist’s dream food: they help regulate blood sugar, they satisfy the appetite with fewer calories, they’re rich in nutrients and phytochemicals that help prevent cancer and heart disease, and they provide high amounts of protein. On top of all that, they are inexpensive and last for years. With all these benefits, why aren’t we eating the recommended three cups minimum of legumes per week? You may not be sufficiently familiar with them to know how to make great, easy meals that you and your family will love. If gas is the reason you avoid beans and lentils, stay tuned. Beans and lentils offer about 8 grams of fiber per 1/2 cup, nearly a third of the recommended daily value of 25 grams per day. Eating legumes in place of refined starches prevents the pancreas from releasing large amounts of insulin, helping to maintain more steady blood sugar levels. In turn, legumes help prevent drastic drops in blood sugar, which cause food cravings that are especially triggered by refined starches. Eating beans and lentils prevents cravings and overeating by providing a longer period of feeling full after a meal. This satiety factor, in combination with legume’s low caloric count, is a particularly powerful aid for weight loss and maintenance. High in folate, potassium, iron, calcium, magnesium, thiamine, zinc, vitamin B1 (thiamin), and copper, the nutritional value of legumes is impressive. They are also high in antioxidants, which can prevent cell damage. Many kinds of legumes are rich in saponins, anti-inflammatory compounds that help your immune system protect against cancer, and lower your cholesterol. 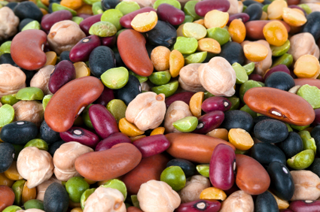 Legumes are a great source of protein. One cup of cooked beans provides as much as 16 g of protein, about a quarter to a third of the amount you need in a day. Soybeans are “complete” proteins. 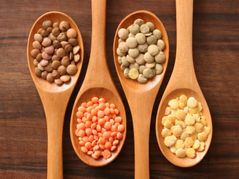 Many beans and lentils have all the amino acids required to build protein, except for one called methionine. Eating bread or rice on the same day as legumes provides your body with this missing amino acid in order to make a complete protein. Lentils are smaller than beans and, unlike dried beans, they do not require pre-soaking overnight before cooking. They do need to be rinsed, however. Some cooks favor lentils because they do not have a strong flavor by themselves, yet they do a great job of absorbing flavors and spices. So, if you’re preparing any lentil dish, know it will taste about the same as the strongest flavors in said dish. If you have avoided beans in the past, start by adding some lentils to your favorite soup. They are so small no one will even notice. Try making my smooth and delicious Turkish Lentil Soup, which uses attractive red lentils and carrots. Kids tend to like it because it’s smooth and I start them out using the soup as a “dip” for their pita chips until they are used to it. 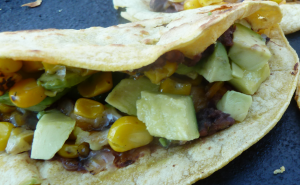 Tacos and quesadillas using good quality yellow corn tortillas (and there are some really bad ones) are among my favorite quick meals to make for myself and my kids. I put a thin layer of no-added-fat black refried beans on them and fill them with cheese, salsa, roasted corn (thawed from frozen), lettuce and/or avocado. Heat them on a pan over the stove, cooking them to be either soft or crispy. I also make a Chipotle Chili that many people enjoy. Chickpeas displayed in a bowl will be eaten if people are are inclined to snack around your house. You can also add them to salads or use them to make hummus or other dips. Beans and lentils usually cost much less at ethnic grocery stores. Take January’s Healthy Challenge and add beans and lentils where ever you can and everyone will benefit!  Don’t forget to share your ideas with us. Add a green pepper cut in half to the water during soaking. Don’t use the soaking water or the green pepper to cook the beans because the water will have absorbed some of the gas-producing indigestible sugars. Bring the beans to a moderate boil for 10 minutes, then pour the water out and start again with fresh water. Do this two to three times before cooking the beans. Cook beans with a pinch of Asafetida (Hing or Heeng powder) added to the cooking liquid. My local Indian store sells a bottle for $3.50. It’s rather smelly raw but doesn’t smell when cooked. Take an enzyme product such as Beano with the first bite to help prevent gas. Add a few fennel or cumin seeds, a slice of ginger, a bay leaf, and/or a 3” strip of dried kombu seaweed. These help to soften the fiber and convert the undigestible sugars. Don’t hesitate to use canned beans — the canning process eliminates some of the gas-producing sugars, but always drain and rinse them well before eating. Use Anasazi beans since they contain 75% less of the oligosaccharide that causes gas. This royal rice is the rice to eat! In fact, it's known as Forbidden Rice in China since black rice was so rare, tasty, and nutritious that only the emperors were allowed to eat it. This nutritious rice isn't forbidden anymore, so we can all take advantage of its amazing nutrition and disease-protective power. Kale is arguably one of the healthiest vegetables available – so many nutrients packed in one food! Kale is in season during the cold months, so improve your health this month with this amazing superfood!